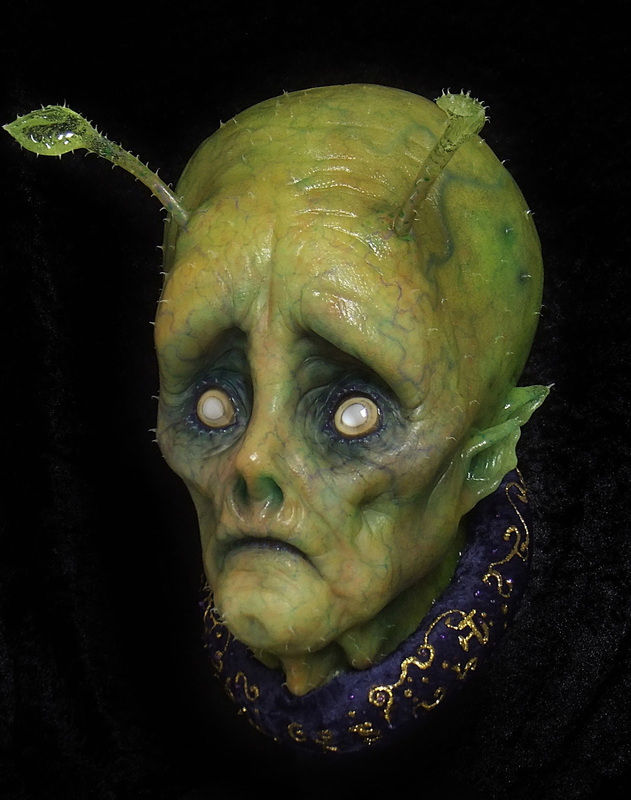 Life size cast transparent resin, silicone hair, silicone reflective eyes. Felt covered foam collar. Cool idea for adding reflective eyes! Great vein work, too. I still don't have the technique of veining down 😂 You make it look so natural.